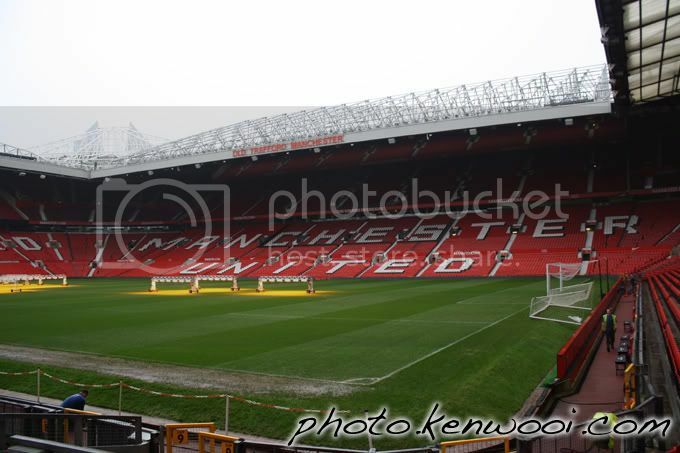 During the stadium tour at Old Trafford, visitors will be brought to the South Stand. From there, the name "Manchester United" can be seen on the seats at the North Stand. The view was pretty amazing! More details at Manchester United's Old Trafford Tour Experience on kenwooi.com.